Once all the excitement of the day is over, there’s one part of your wedding which will stay with you every day of your married life, your wedding ring. No other piece of jewellery will ever match it in significance, so it’s important to choose a ring that suits your individuality and your lifestyle. 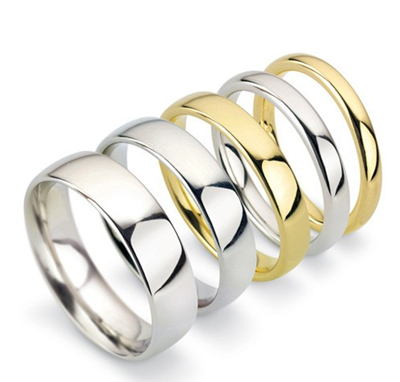 Wedding rings come in a vast array of styles, metals and settings and, of course, prices vary. Start shopping for your ring or rings around three months before the big day. That will give your jeweller enough time to ensure he can supply the perfect fit in your chosen style. The metal you choose will affect the cost. Currently the most popular choice is platinum, which is heavier and more durable than gold, but also correspondingly expensive. White gold (often combined with platinum) has the same look at a more affordable price, while the more traditional yellow gold is actually making a big comeback. Gold comes in different purities and is classified in carats. The higher the carat, the more gold it contains, but 24ct – or pure gold – is so soft it is rarely suitable for everyday wear and tear. Wedding rings are usually between 9 and 18 carats. 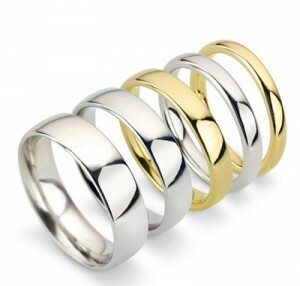 Don’t forget your wedding ring will usually be worn with your engagement ring, so it has to sit well with it. Shaped wedding rings to fit around the engagement ring, often diamond set, are currently in great demand. If you are both having wedding rings, remember they don’t have to be the same shape and style – and while there’s no harm in being innovative and individual, be a little wary of high fashion rings which may date easily. 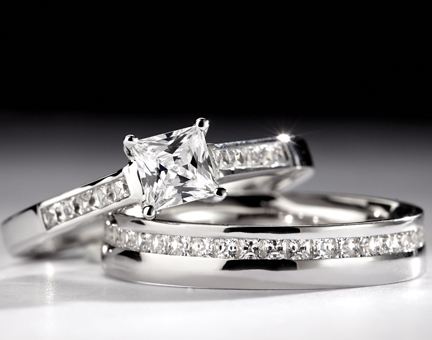 Your wedding ring should be as beautiful and precious to you on your Diamond Anniversary as it is on your wedding day. Decide on a budget and stick to it and finally, get your wedding ring insured – one in four people lose theirs before their fifth anniversary. Catherine Bishop’s passion is simply jewellery – and bespoke rings, locally crafted to your desire, will add an extra special touch to the centrepiece of your wedding. Catherine Bishop has been a jeweller for over 30 years, originally working in Bath then moving to Devon at the turn of the millennium, so she has plenty of experience with all aspects of jewellery, gemology and jewellery valuations. More and more people, says Catherine, want the ring they wear for life to be unique. She said: ‘We design here in the shop and have our own specialist jewellers, so really anything is possible.’ Free consultations. 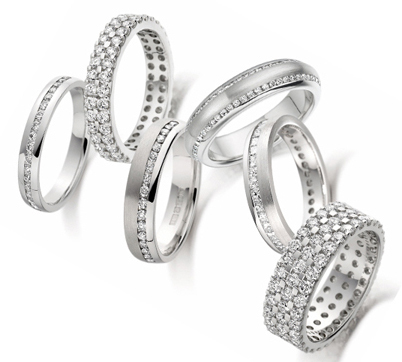 Diamond wedding rings are a popular choice for many brides to be and increasingly for the grooms too. With any piece of diamond jewellery there are 5 key things to think consider when making your decision: Colour, Carat, Cut, Clarity and Confidence. When you go to Drakes to choose your wedding rings they will explain all the different factors about each of the pieces you try.